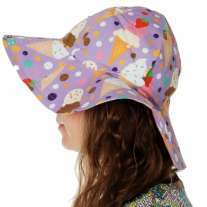 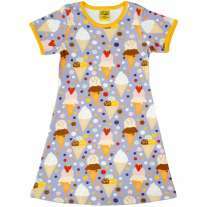 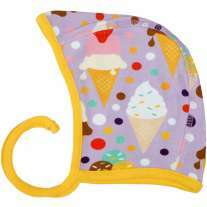 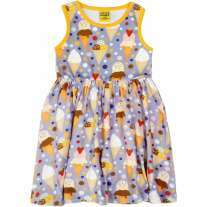 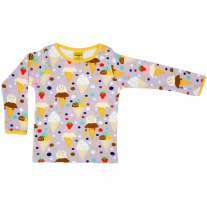 These DUNS Ice Cream Lavender Dungarees for babies and toddlers are pale purple with an ice cream pattern and a bright yellow trim. 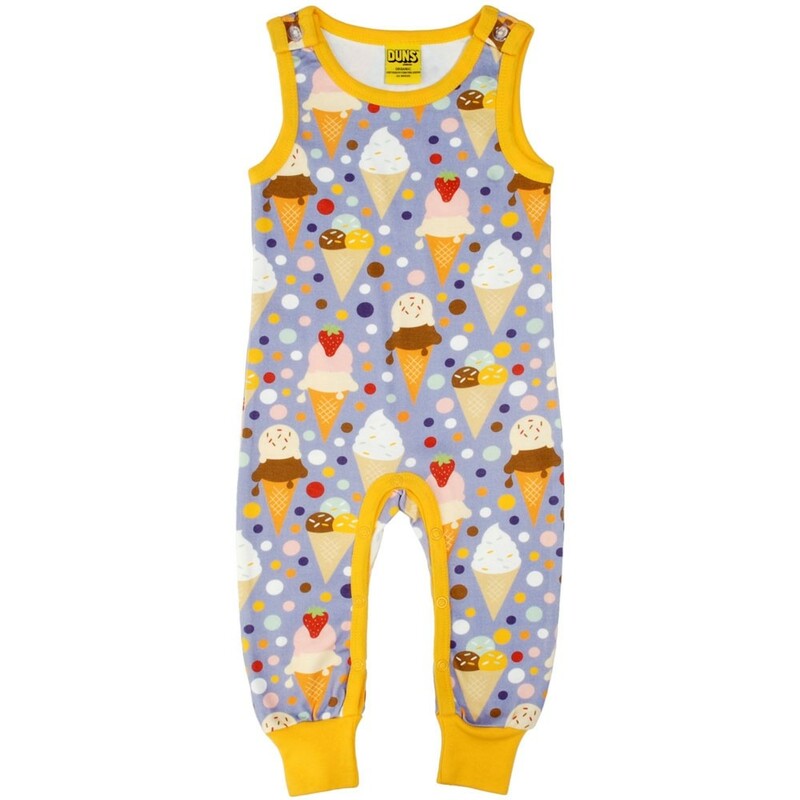 Comfy, cosy and practical, these organic cotton dungarees have buttons at the shoulders, turn-up cuffs for extended wear and have room for cloth nappies too. 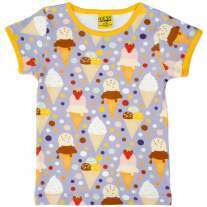 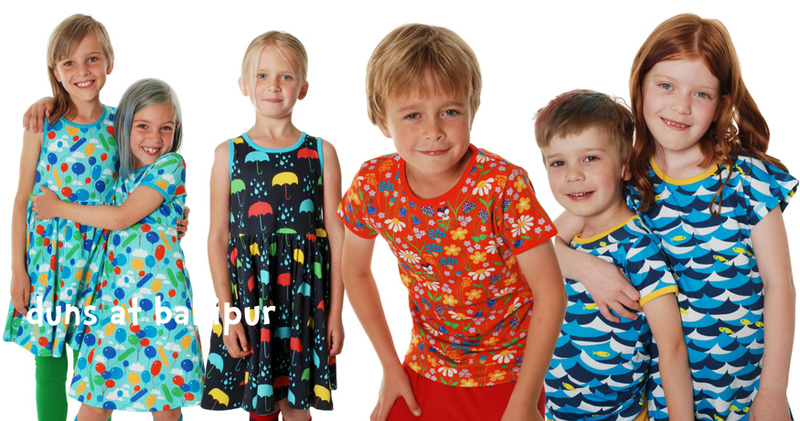 Team up with a bright bodysuit or top for a fab Scandi outfit. 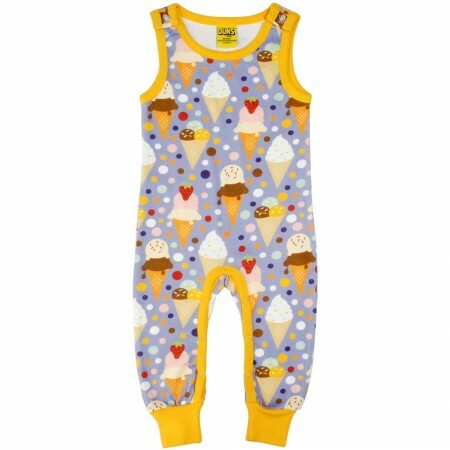 Sizes 0-3, 3-6 and 6-9 months have poppers running up the legs and crotch for nappy changes. 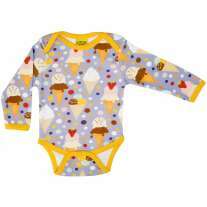 Sizes 9-12 months and up have no poppers on the legs.